What Type of Implant Supported Dentures Should I Get? At Smile Denture and Implant Clinic we see a lot of patients inquiring about implant supported denture. We always invite our valued patients for a free assessment and a free consultation. This way you can get an accurate cost estimate of implant supported dentures as well as your customized recommendations. A dental implant is a surgically-placed, artificial tooth root that provides a permanent base for replacement teeth. Small, medical-grade, root-shaped titanium implants are secured in the jawbone and gum tissues. They serve as the anchor for replacement teeth. This means that your implanted teeth will not slip or move. Thus, you are free to smile, talk and eat easily and confidently. An implant-supported denture is a type of a prosthesis that is supported by and attached to dental implants. A regular denture rests on the gums directly, and is not supported by implants.We use an implant supported denture when the patient does not have any teeth left in the mouth. The patient should have enough bone left to be able to support the implant.These dentures have a special set of attachments that then snap onto the implants. There are two types of implant-supported prosthesis: bar supported dentures and no bar implant supported dentures. When is an Implant Supported Denture (Prosthesis) Used? An implant-supported prosthesis is used when a person doesn’t have any teeth in the jaw, but has enough bone in the jaw to support implants. This denture has special attachments that snap onto attachments on the implants. What Are Different Options for Implant Supported Denture? There are different types of implant supported dentures available. The best and most recommended option is a removable implant supported denture with a titanium bar. This is because while implants will hold the denture securely in place, you will be able to clean the prosthesis and implants thoroughly. In this way, your prosthesis will be easy to maintain. The added advantage of titanium is that it will provide added support to implants and ensure that implants stay in place. Also, the titanium bar is most biocompatible metal and has a 25 year long warranty. You could also get a removable implant supported prosthesis without a titanium bar. This would mean that your prosthesis would directly attach to the implants. 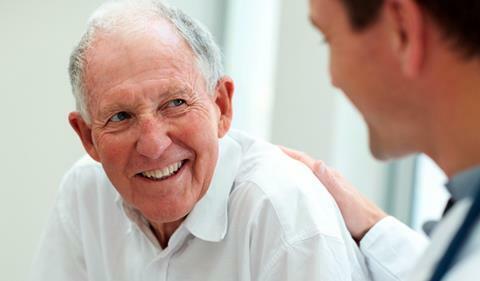 Implants can be placed in conjunction with immediate dentures, allowing extractions, implants, and dentures to be placed in the same appointment. While implant-supported prosthesis are not for everyone, it may be the right solution for you. To find out, contact us today and schedule an appointment with our clinic.